Bond beam blocks and lintel blocks are concrete units which are used especially for masonry purposes. The differences between both bond beam block and lintel block in terms of their usage, shape, functions etc. are explained in this article. Lintel blocks are U-shaped horizontal masonry units which are placed above the openings. Lintel blocks are arranged in a course such that lintel beam can be formed. Lintel beam support the wall portion which is above the opening or a space between two vertical supports. The U-shaped space allows space for cement grout as well as horizontal reinforcement. Lintel blocks are not recommended to construct bond beams since they do not allow combination of horizontal and vertical reinforcement. But however, instead of vertical reinforcement, steel bearing plates can be installed between two lintel blocks if lintel blocks are to be used as bond beams. Bond beam blocks are horizontal concrete masonry units in which the web portion have cuts or holes to access vertical reinforcement. They may be U-shaped or sometimes they may come up with knockout sections which can be removed while using. 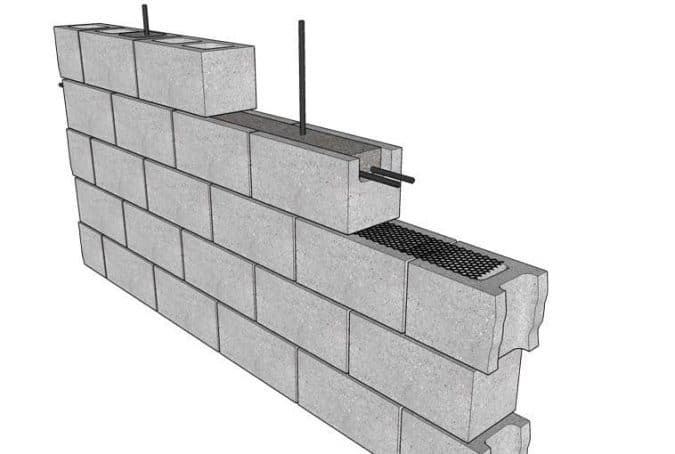 Bond beams are placed in courses in masonry walls to construct a bond beam. Bond beam imparts the horizontal strength to the wall. The space provided in the bond beam block is used for placing cement grout and reinforcement. 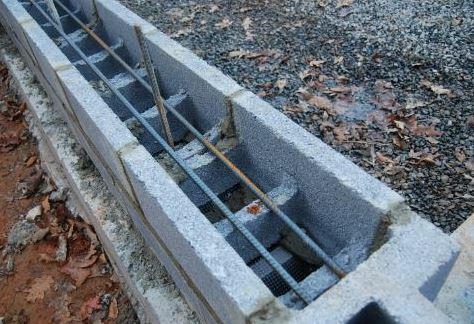 Bond beam allows both horizontal and vertical reinforcement. U-shaped space is used for placing horizontal reinforcement while the cuts or spaces in web portion are used for vertical reinforcement. To prevent grout from flowing down through holes in the web, a wire mesh is placed just under the bond beams without disturbing the vertical reinforcement. 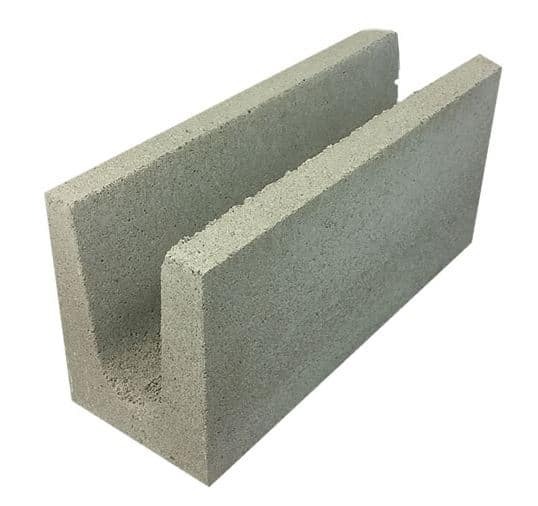 Bond beam blocks can also be used to construct lintel beams over openings or spaces.